The 2019 Range Rover Sport will feature an electrified variant that can travel up to 50 km/h on pure electricity. Land Rover’s luxury mid-size SUV, the Range Rover Sport, is getting a series of enhancements for the 2018 lineup of vehicles. And, following closely behind, the model range is also about to receive its first plug-in hybrid. Called the P400e, the partially-electric crossover is the result of a 296-horsepower turbocharged 2.0-litre engine mated to an 85-kilowatt electric motor, producing a combined 398 horses and 472 lb-ft of torque hooked up to a four-wheel drive system. Two driving modes are available to choose from: Parallel Hybrid, which automatically utilizes both power sources depending on driving and load conditions (a SAVE function can force gasoline propulsion to conserve battery reserves for later use), and a full-time EV mode allowing a maximum 50 kilometres of emissions-free driving at speeds of up to 137 km/h. Charging the vehicle is as simple as locating the port installed behind a panel on the front grille, and illuminated strips on either side of the socket indicate the current status. When plugged in, owners are able to set a timer and choose when the process should begin and end. The P400e features the same refreshed exterior as stablemates with the V6 and V8 engines. Both the headlights and taillights have been upgraded to LEDs and the housings slimmed down and elongated, and the air cooling vents on the front bumper are enlarged. A bigger liftgate spoiler makes a splashier statement while helping to keep dirt off the rear window. A new appearance package adds carbon fibre accents to the grille, fender vent, hood and other areas of the body. 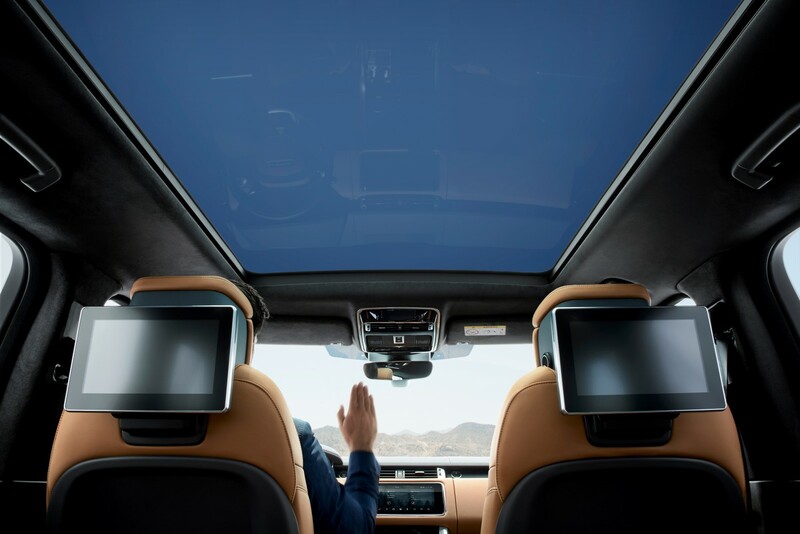 Venturing inwards, occupants will find more supportive seating, increased storage capacity in the centre console and a gesture controlled sunroof sunblind, activated with the wave of a hand in front of the rear-view mirror. In addition, an air cleaning system called Nanoe ionizes airborne particles causing them to cling to surfaces rather than float about in the cabin. Look for the hybrid to arrive in summer of 2018.